Health and well being has transformed people lifestyle and habits, even myself has started changed my lifestyle to become healthier. But to keep a healthy lifestyle is not easy because I love to eat snack so much. I getting know Signature Market from a friend by chance, and I only know that Signature Market is offering healthy and delicious snack without any preservatives or addictive. Now they also selling lot of healthy food such as muesli, granola, and other beverages. 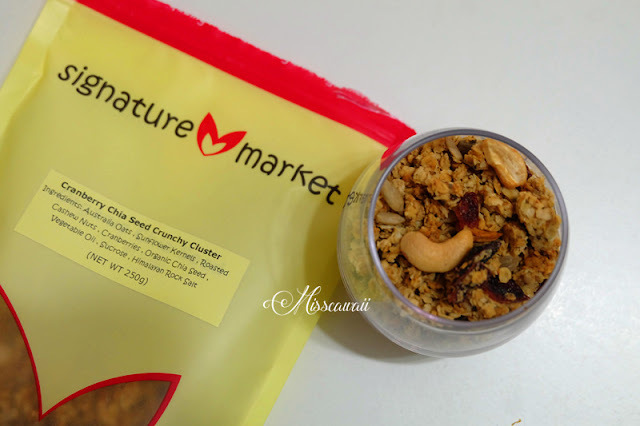 In case you not sure about Granola, it usually made with whole grains, add on some dried fruit, nuts and other natural food, baked with honey until it become golden brown. This is suitable for beginner want to kick start healthy cereals. 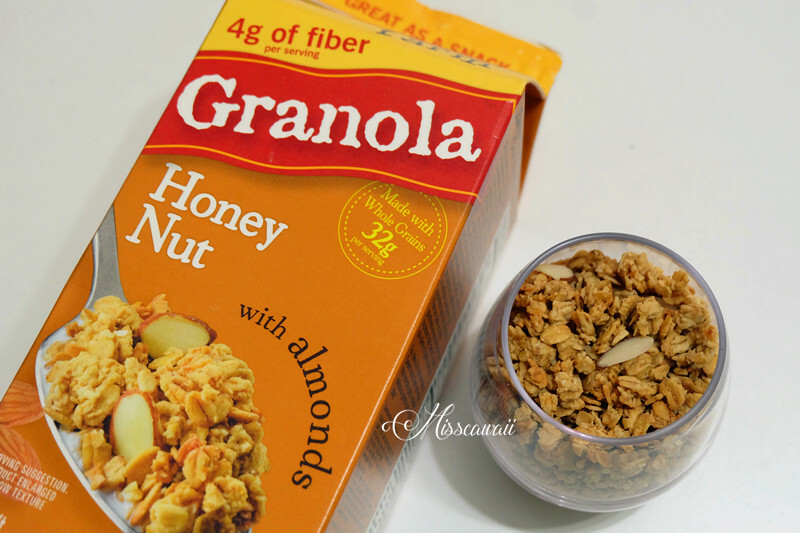 Granola is perfect enough by itself, but I love to make it as topping in my daily breakfast. It also good for parfait or cookies. ***It may contains other Tree Nuts and Soy. This is look awesome where it is 100% made from natural real vegetables without any artificial ingredients or additive. 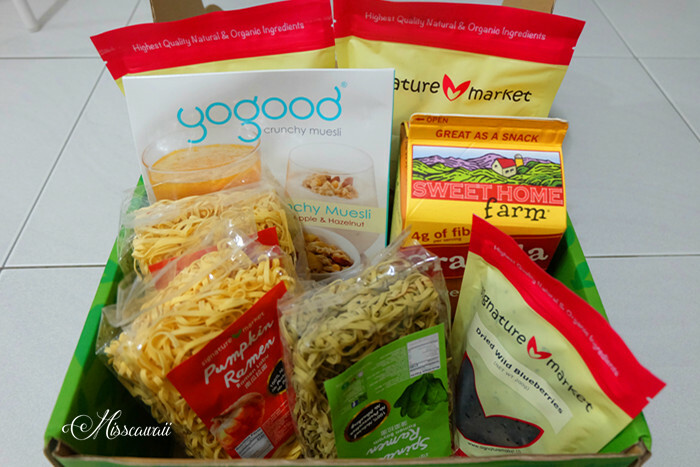 Signature Market claimed only the finest seasonal products are selected and processed to ensure the snack is keep in freshness. 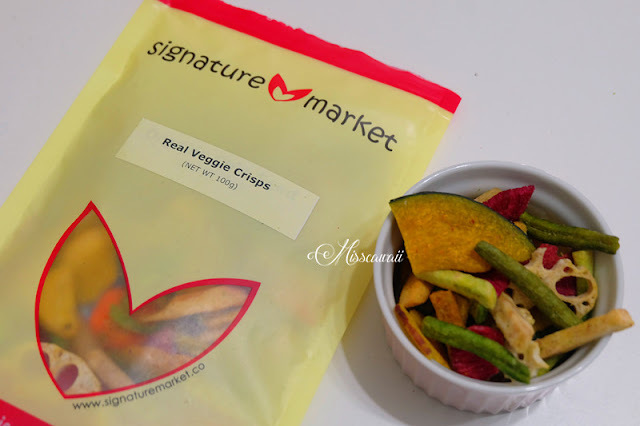 This packaging include sweet potato, taro, pumpkin, carrots, lotus root and long beans that come with high fiber is the best-on-the-go snack for everyone. Vegetarian? No worries about this. Personally love blueberry so much as it not really sweetened and this is so nice when mix with muesli,cereal, salads or yogurt. It also nice use for baking like cookies, cakes or muffins. Usually I add it in my daily breakfast with muesli. 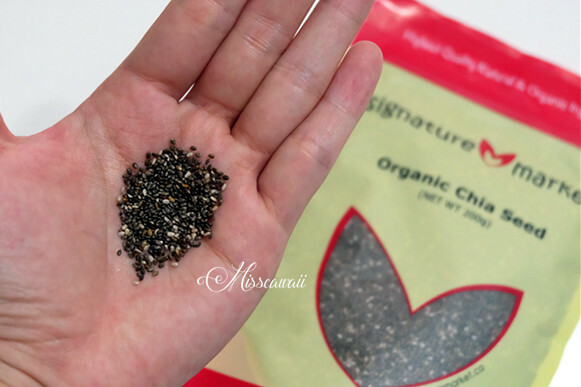 Chia Seed has been proven to be a super food with variety health benefits. 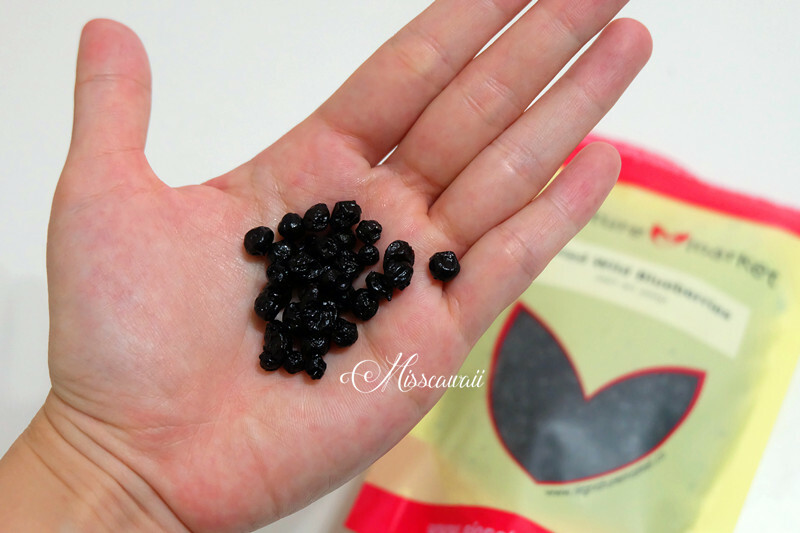 This is recommend for who wish to weight loss due Chia Seed will reduce food cravings and helps in dieting through absorbing calories. This also naturally high in fiber which can helps in digestive health. This is very easy to serve where you can add in your drinks, food, overnight oats or dessert as well. 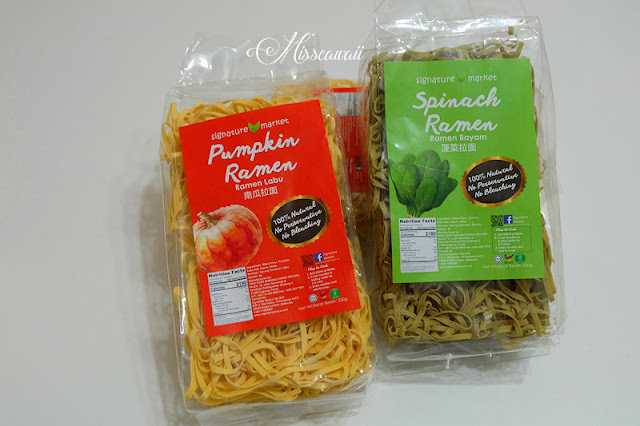 This ramen series is made by REAL vegetables as it is pure and delicious. I totally agree that this ramen is specially design for me this kind people that very conscious on healthy but never have time for home cook. What is the good for spinach and pumpkin? Spinach: Low in fats and cholesterol, High in vitamin, minerals, contains protein and help brain function. Pumpkin: Good for eyes, aid weight loss, may reduce cancer risk, help after workout and boost your immune system. This is simple to cook with only 10 minutes and you can fry or cook with your favorite ingredients. Currently they are doing limited time promotion for first purchaser. For new customer, you are able enjoy the Organic Chia Seed in RM1 (worth RM29.90) + FREE 3 months membership (worth RM50) + extra 10% OFF. If you are interested on Signature Market, you may head on to their website for more information.